Not all the pdf files comes in proper reading format. Sometimes we have to deal with improper orientation. For time being we may simply rotate and read that file. But what if, if we have to deal that file in regular basis? do you think we have to rotate that file daily whenever we open that file? No, we don’t need to do that. This improper orientation (upside down etc.,) usually occurs when there is a image or some sort of big table which is present in that pdf file. There are many online webapps are available to do this job. But I don’t think it is a better solution to rotate pdf files if have large number of files present or if you have a big pdf file. Because you have to upload that file to server to convert and then you have to download the converted file. Instead, it is good to download a software to rotate pdf file locally on our computer. 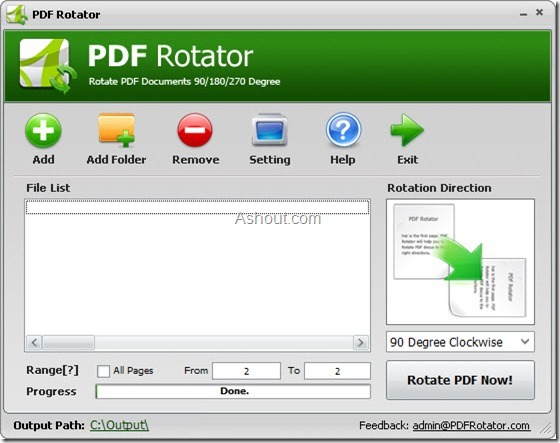 PDF Rotator is free windows software which permanently rotates any pdf files 90 or 180 degrees clockwise and counterclockwise easily. 4. 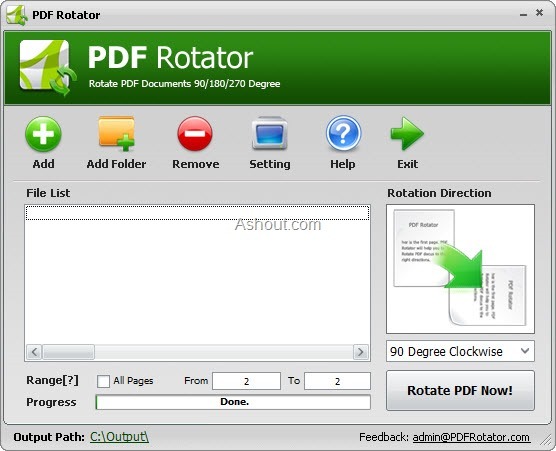 Now click on “Rotate PDF Now!” button to rotate pdf file. Once it has done job it’s job it will open the folder containing your rotated pdf file.